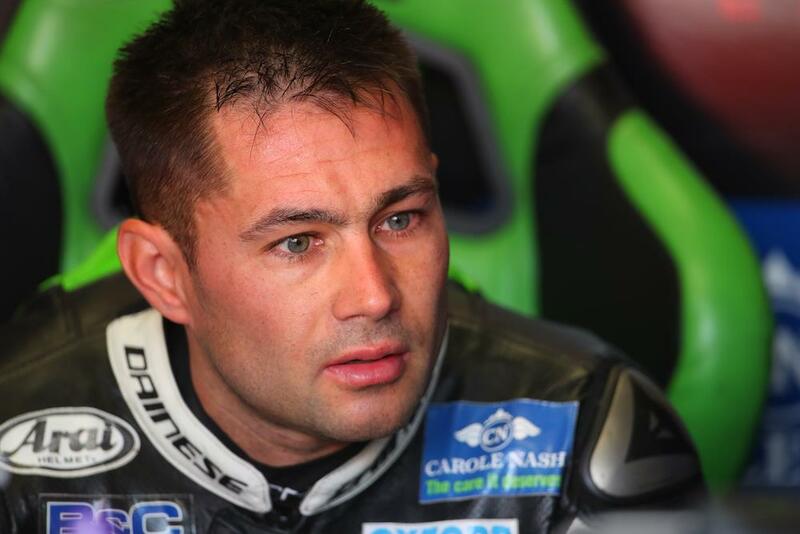 Leon Haslam has said he is prepared for whatever is thrown at him as his first opportunity of clinching the 2018 Bennetts BSB crown in tomorrow’s opening race. The JG Speedfit Kawasaki rider rounded out the opening day sixth quickest, but was more interested in his pace on used tyres, both hard and soft options, given the changeable weather conditions predicted. “I’m feeling really good, my pace after 17 laps was as fast as anyone on the track, but we didn’t get too much out of the new tyre,” he told MCN. “I had a few issues with the front which we’ll need to sort tomorrow. “Conditions look really changeable this weekend so we’ve worked on both the hard and soft tyres. This morning I did the whole session on one hard rear and set my fastest lap on the 19th lap, this afternoon we used a soft for most of the session and set our quickest lap on lap 17. I have data on both tyres which a lot of people don’t, so we’re prepared for whatever is thrown at us.